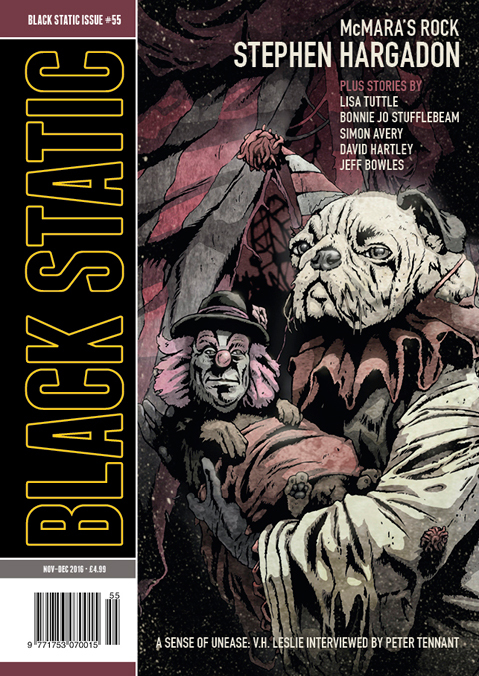 My Story Recommendation of the Week is for "Vaseline Footprints" by Jeff Bowles, from the November-December 2016 issue of Black Static magazine. A sister magazine to Interzone, Black Static generally focuses on horror and dark fantasy, but I'd be more inclined to label "Vaseline Footprints" as bizarro fiction, with story elements at once absurd, surreal, satirical and grotesque. I like bizarro, and if you can appreciate offbeat fiction, I think you'll like this one a lot too. I love the dead women in my closet very much. I keep pictures of them on my phone. The dead women in my closet are my reason for living. I think I would probably go a bit weird if I didn't have them. No doubt! This story may not be for everyone, particularly if you're sensitive about your religious imagery, but I thought it was a hoot and a half! Jeff Bowles is a Colorado author, whose work has appeared in PodCastle, Stupefying Stories and other markets, and has been collected in Godling and Other Paint Stories. My Story Recommendation of the Week is for Mika Model by Paolo Bacigalupi, which appeared at Slate.com in April of 2016 (cover art by Lisa Larson-Walker). Regular science fiction and fantasy readers know that Paolo Bacigalupi is awesome, but may not know to look at Slate.com for good new SF. 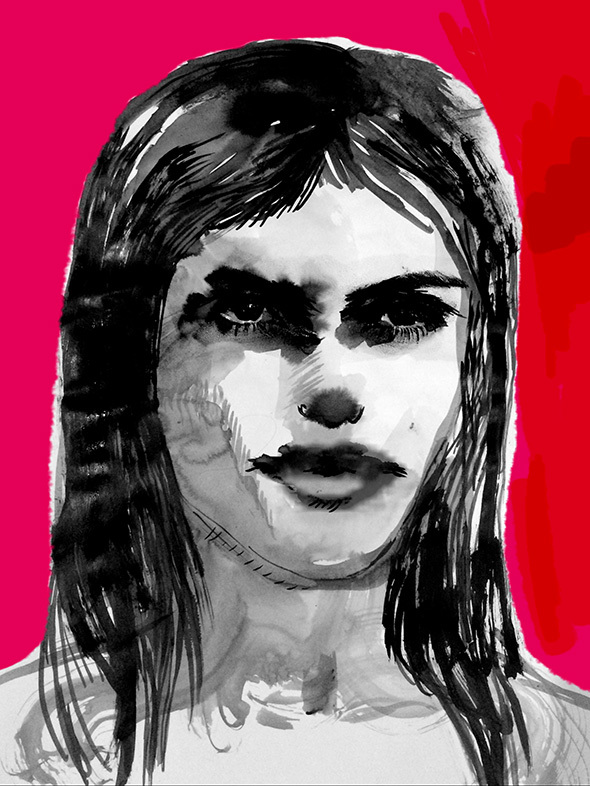 "Mika Model" is part of their "Future Tense" series of articles exploring how technology and science will change our lives. “What do you need a lawyer for?” I asked, smiling. She leaned forward, conspiratorial. Her hair cascaded prettily and she tucked it behind a delicate ear. As she moved, her blouse tightened against her curves. Buttons strained against fabric. Fifty-thousand dollars’ worth of A.I. tease. She set her Nordstrom bag down between us. Reached in and hauled out a man’s severed head. Dropped it, still dripping blood, on top of my paperwork. I recoiled from the dead man’s staring eyes. His face was a frozen in a rictus of pain and terror. Mika set a bloody carving knife beside the head. “I’ve been a very bad girl,” she whispered. And then, unnervingly, she giggled. She said it exactly the way she did in her advertisements. Rivera's first order of business is to decide whether this is a murder case, or rather a product safety failure. Mika tries to convince Rivera she is real, and he would certainly prefer to think of her as a person. A lawyer does show up in the story, Holly Simms, and she promptly mocks Rivera for being a predictable male, so easily manipulated by what is, after all, a rather simple machine. And she is absolutely right. Then again, Mika had Rivera feeling like she understood him, while Simms just makes him feel small. If people are so easy to manipulate, why is it we so seldom manipulate each other into feeling good? This is Paolo Bacigalupi's third Story Recommendation of the Week. He joins Aliette de Bodard, Samantha Henderson, Rachel Swirsky, and Catherynne M. Valente as the only authors to receive SROTWs three times. "Caleb had been dead for two weeks when I started pretending to be his ghost." I do love a great opening line! 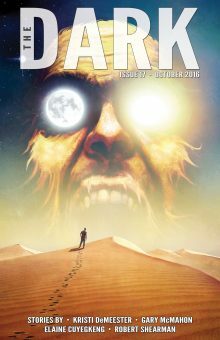 My Story Recommendation of the Week is for Kristi DeMeester's The Sound That Grief Makes, from the October 2016 issue of The Dark magazine. Every night, I knocked on his door. Every night, my son would talk to me from behind that thin wood. And then I found a worm, Dad. Big as my arm. Swear. And Nathan dared Scott to take a bite of it, and Scott said he would do it if Nathan handed over his entire Punisher comic book collection. Nathan said okay because he thought there was no way Scott would do it. Nathan kept the worm to keep everything fair, and then Scott showed up the next day, and ate the entire thing. Hudson poured out his life for his dead father, and I sat and listened and understood I would never be able to give him all that he needed. I couldn’t be his father. Eventually, the knocking would stop. Eventually, I would have to stop haunting my son. Surprisingly, his father's apparent ghostly appearances really seem to help Hudson deal with his grief. But who is going to help Hudson's mother? "The Sound That Grief Makes" is a simple but sad, moving, and elegantly written piece. Kristi DeMeester's short fiction has appeared in such markets as Black Static, Apex, Shimmer, and Shock Totem. Her first novel, Beneath, is due out in April 2017. The Dark is a fairly new on-line horror magazine, which I am digging so far. Look for more SROTWs from this publication. My Story Recommendation of the Week goes to "An Advanced Readers' Picture Book of Comparative Cognition" by Ken Liu, from Liu's Saga Press collection The Paper Menagerie and Other Stories (cover art by Quentin Trollip). 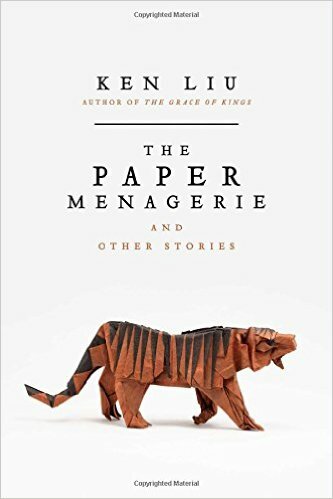 Science fiction and fantasy readers out there don't much need me to tell them that Ken Liu can write a decent short story. But you may not be aware that his new collection The Paper Menagerie has one new story in it (among all the reprints of award nominees and winners), and it's one you want to check out. "An Advanced Readers' Picture Book of Comparative Cognition" alternates between brief passages explaining the systems of memory and cognition observed in various alien species and a scientist's love letter about his estranged wife, written to their daughter. Every one of the descriptions of alien species is interesting and original enough to support its own story, but apparently Ken Liu comes up with good story ideas so routinely he can afford to toss off a half-dozen of them all at once. Show off! The most telling of the alien passages describes a dying alien race that saved a few of their children by putting them on a near-lightspeed starship with no means of decelerating, thus ensuring that the children would live until the end of the universe—which they would experience in just a few short years. The passage concludes, "All parents make choices for their children. Almost always they think it's for the best." In the main narrative, a husband and wife, both nerdy scientists, would each make a different choice for the future of their daughter. The parent who prevails has at least as many regrets as the parent who does not. This is a well-constructed, emotionally charged story, right up to the sad and lovely closing line: "There are many ways to say I love you in this cold, dark, silent universe, as many as the twinkling stars."